Greenpeace trainers host an introductory kayak training for people interested in using kayaks as a part of creative on-water action. Kayaktivism is on the ride as a creative resistance technique helping people learn potential uses and roles for on-water direct action. The specter of drilling for oil along the East coast accompanied by its twin, seismic testing, are making the rounds again in 2017. Public hearings on both matters have been well-attended at lowcountry town halls, and the Department of Health and Environmental Control (DHEC), has received more than a million written letters in opposition to the prospects. Island residents continually step up despite seemingly endless calls for action. 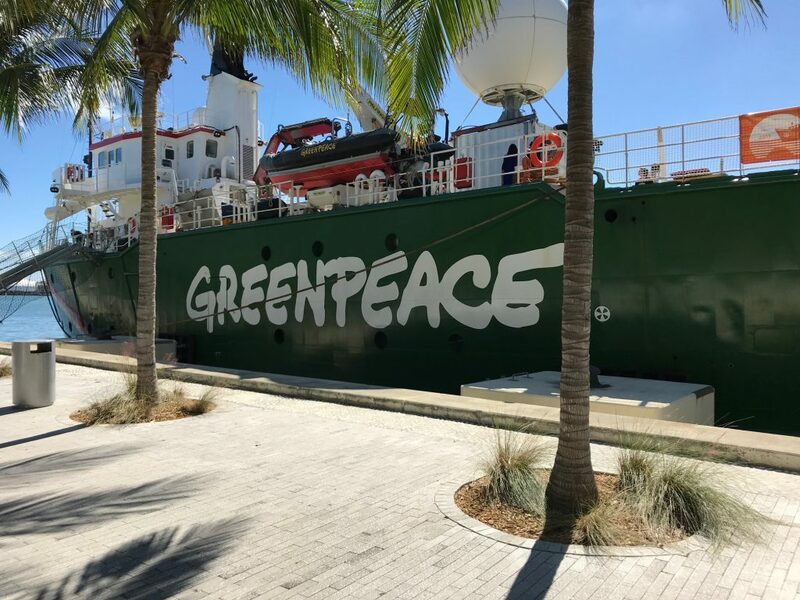 Hopes were buoyed by the announcement that Greenpeace’s ship, Arctic Sunrise, would be calling on Port Charleston the first week of November. The Arctic Sunrise has a history of bold protest: obstructing environmental threats, hindering illegal whaling, and documenting the damage to oceans caused by single use plastics, to name a few. However, it was their obstruction of oil exploration, which launched its latest trouble. The vessel was in international waters protesting Artic oil production by Gazprom on September 18, 2013. Russians didn’t see the humor in their actions and seized the Arctic Sunrise, arresting all 28 crewmembers and 2 freelance journalists at gunpoint, the very next day. Charged with piracy, they languished in Murmansk for nearly a year. General information about the organization can be found starting with their homepage, Greenpeace.org/international/en/. Follow the Artic Sunrise’s adventure and get updates on their study through the ship’s webcam by visiting: Greenpeace.org/international/en/multimedia/ship-webcams/. Feeds are updated every 30 seconds. Originally called the Polarbjorn (polar bear) when it was constructed in 1975 as an 1A1 icebreaker, (the second highest icebreaking capacity of its time), the ship was originally used to hunt seals. The irony of Greenpeace’s attempt to buy the vessel in 1995 wasn’t lost on the Dutch owners, who declined the offer. 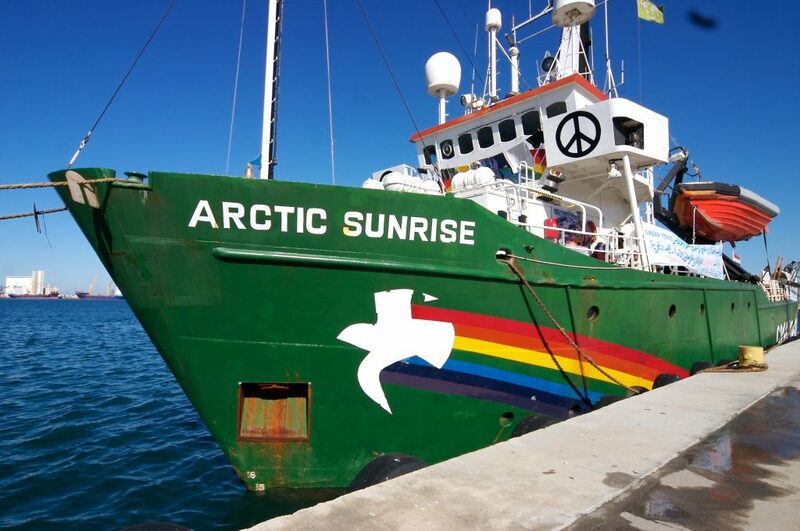 Greenpeace responded by forming a shell corporation called Arctic Sunrise Ventures to buy the vessel anonymously. The sale was closed, and the new name stuck. Despite the change of ownership, the boat continued to fly the Dutch flag and in a cascade of ironies, the Netherlands interceded in the 2013 arrest, arguing for release of the activists. Russia ignored the subsequent rulings of international courts to free the hostages, mysteriously opting instead for a general amnesty in June 2014. The East Coast voyage in the fall of 2017 was the first public tour since their capture. 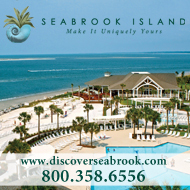 Turns out, Charleston did not make the list of stops after all. 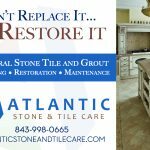 “There were actually a few reasons we decided on our own to not bring the Arctic Sunrise to Charleston although we really wanted to! In addition to not finding a berth that could accommodate our ship the weekend we were planning to come (we require public access so people can come visit the ship), we also shifted our schedule so we could make a stop in Puerto Rico along with another chartered vessel that will be carrying supplies. This ship [Arctic Sunrise] needs to be Antarctica in January so our schedule is pretty tight if the Arctic Sunrise is going to be ready for a polar adventure,” said Cassady Craighill, former James Island resident and one time College of Charleston student, turned Greenpeace spokeswoman. The “adventure” will include study of the Larsen C Ice-Shelf. Named for Norwegian whaling captain Carl Anton Larsen in 1893, the ice shelf broke away from the continent last July, and is now an iceberg the size of Delaware with the designation A-68. Rhode Island has apparently been eighty-sixed as a metaphor of size with chunks breaking off at double the old rate alarming students of sea level rise. But why would A-68 make a difference to sea level? A glass of ice water doesn’t overflow its container as it melts, right? The problem is the scarf left behind. The remaining sheer is unsupported, creating a domino effect; land ice races [calving] to fill the Delaware sized void once blocked by sea ice, while thinning ice on land reduces the Antarctic’s ability to reflect light, thus adding to the pace of melting, e.g. the “greenhouse” effect. Some of the most dramatic examples of “calving” are the much sought after highlight of cruises to Glacier Bay, Alaska. The largest examples of this are still described as the size of Rhode Island. Greenpeace’s report on the topic is still further away than the effects they will study beginning with the new year. 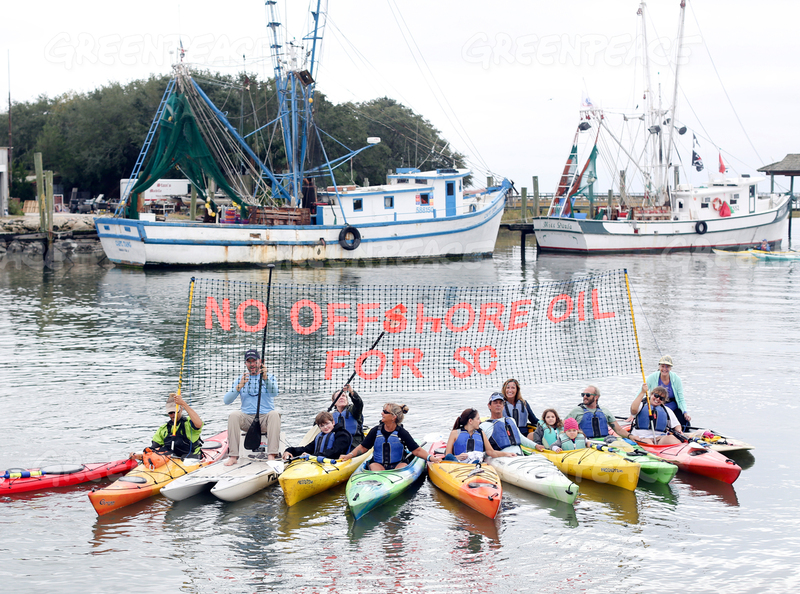 Greenpeace vows a visit to Port Charleston but left residents with a sort of “interest only” payment on their return – Kayaktivism. There are plenty of paddlers in the Lowcountry, and Greenpeace conducted a “class” in how to safely make a difference from the comfort of your kayak. Participants probably won’t be confronting many Japanese whaling vessels, but can still make an impression.